The loss of a loved one is something we all face in our lives. It is a difficult time and the last thing you need is the burden of organizing the funeral. That’s why at O'Callaghan's Funeral Directors we offer a service providing all aspects of funeral care and arrangements beginning from the moment you contact us. We believe in providing a service to help ensure arrangements are as stress free as possible, leaving you free to be with your family and friends. We arrange funerals that reflect and incorporate the wishes of the individual, family and friends. We can advise on cremations and burials, choice of coffins and flower arrangements. 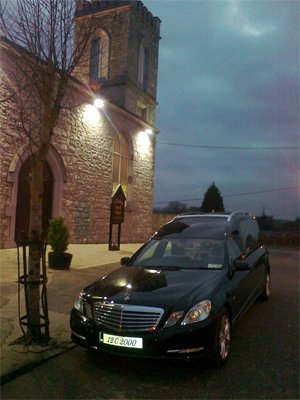 We can arrange to have the funeral at either of our two Funeral Parlours or from whatever other suitable location that one wishes. Whatever you choose we can help you arrange it all, even a suitable venue for a gathering afterwards with any catering needs that might be required.